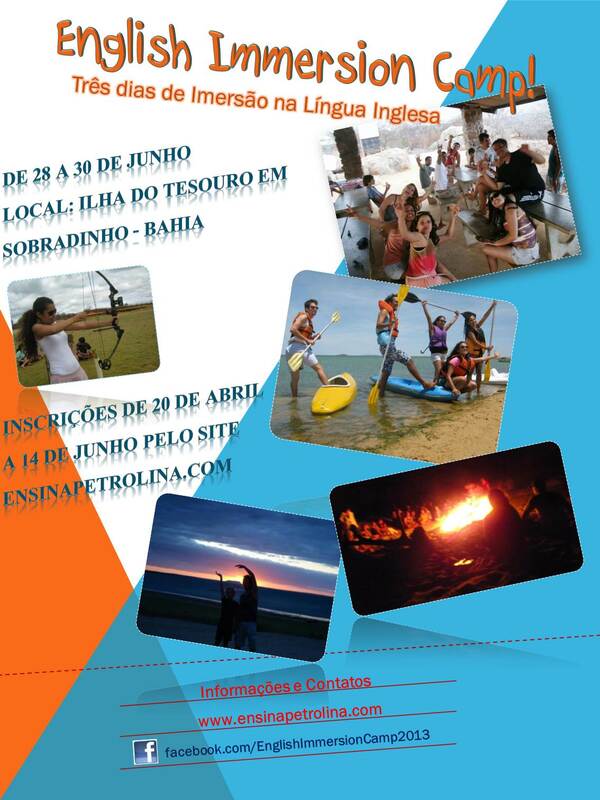 NO PORTUGUESE SPOKEN AT CAMP (Even for beginning English speakers. Look at our immersion rules and recommendations here). Remember that this is real camping. The camp facilities are very simple and not as comfortable as you are used to at home, so prepare yourselves for hammock sleeping, limited electricity, and simple bathrooms shared by many people! If you have any concerns, please contact the coordinators. Registration is accessible here. You may register until June 15. All campers will attend a pre-departure meeting on Saturday, June 22 at 17:00 (details to follow). * On the registration form, “SID” is the number of your registration. Don’t change it. * Please answer in English. Feel free to use a dictionary. * After sending your registration, you are not yet “confirmed.” Please check your email for more information. If you do not receive an email after a week, contact us. Camp costs R$70. We do have some scholarships–please contact the coordinators if you are interested. Payment information will be sent with your registration confirmation.